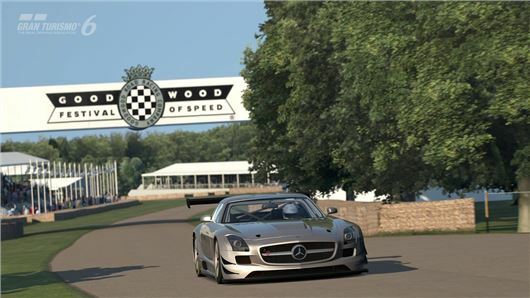 The developer of famous Playstation racing game series Gran Turismo has partnered up with Goodwood to include the hill climb route in its next title – Gran Turismo 6. What’s more, visitors to the 2013 Festival of Speed will be able to sample a demo of GT6 featuring the hill route and a selection of cars. "I have always been a huge admirer of the Festival of Speed and what Lord March has achieved," explains Polyphony Digital President and legendary creator of Gran Turismo, Kazunori Yamauchi, who will drive a number of cars up the famous Hill at Goodwood. "Goodwood represents every type of motoring and motor sport which very much mirrors what we aim to achieve with Gran Turismo and so it is very special that we have forged this partnership" he continued. Those who wish to try the Gran Turismo 6 demo will find PlayStation race ‘pods’ at the Goodwood Road Racing Club, the Family Area and the Goodwood Hotel.